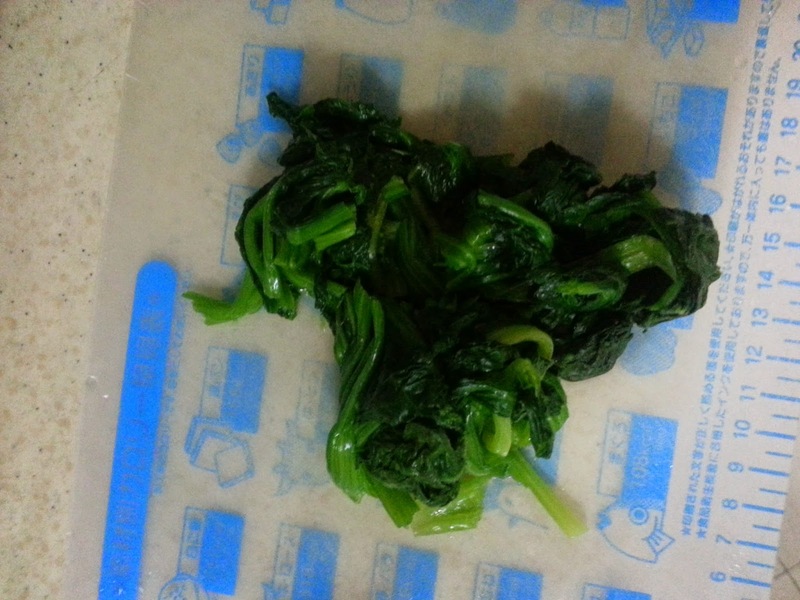 The spinach you get in Singapore (from China) will be a little different from what you get in Korea. Nonetheless, you still can use the ones bought in NTUC (local supermarket). The taste will be the same but texture slightly different. Boil a pot of water (half a pot) and add 0.5 tbsp of salt into the boiling water. Cook the spinach for about 1.5 minutes. Remove the spinach and soak in cold water. Squeeze dry the water from the spinach (it would have formed a ball shape after you have squeezed it dry) and cut the bunch into quarter. 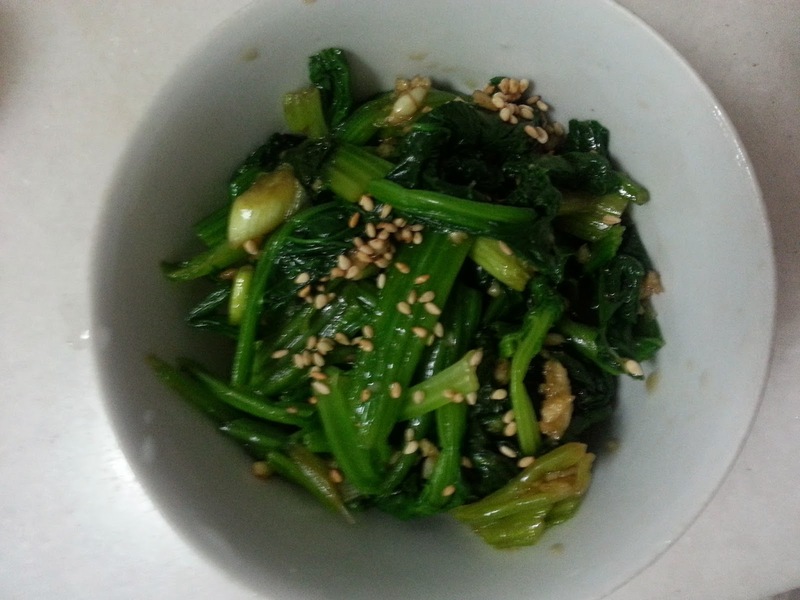 Mix the soya sauce, salt, spring onion and garlic into a bowl then put the spinach in and mix with your hands. 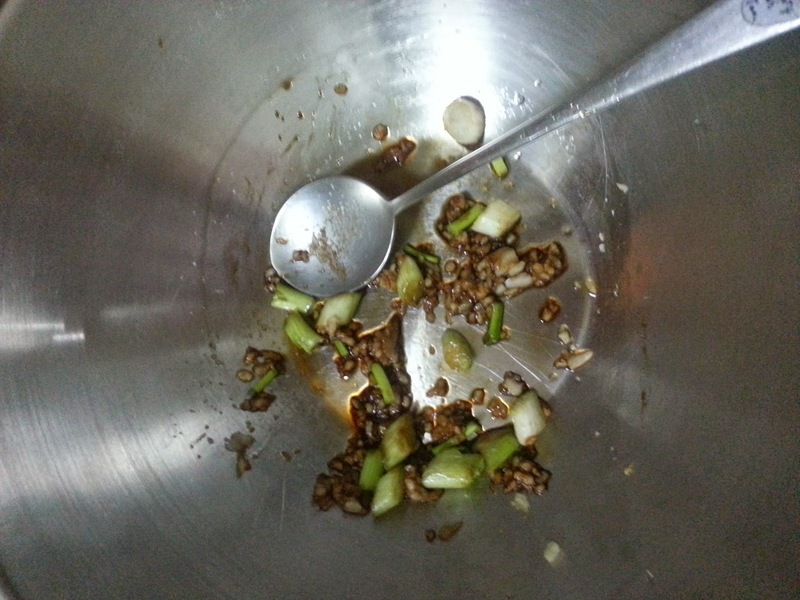 Then, add in the sesame oil and sprinkle some sesame seeds. This is a fairly simple and healthy dish. The Koreans will keep this in the refrigerator and dish out some to go with each meal.